Formulated to improve the appearance of mature and dry skin types, OSEA Hyaluronic Sea Serum moisturizes skin with a lightweight, non-greasy feel. Red and brown algae lend a feeling of rich hydration, and make skin look smooth and youthful. Hyaluronic acid helps skin to stay looking plump and moisturized, diminishing signs of wrinkles and uneven texture. Packed with antioxidant-, vitamin-, and mineral-rich ingredients to create a firm, dewy, luminous appearance. Use to reduce the look of redness, aging, and dryness in all skin types. Apply two pumps of serum to clean skin, pressing onto face, neck, and decolleté to boost the appearance of firmness and elasticity. Use twice daily for skin that feels ultra hydrated, and looks glowy and youthful. Follow with daily moisturizer. Aqua, Gigartina Skottsbergii Extract*, Macrocystis Pyrifera Extract*, Undaria Pinnatifida Extract*, Sodium Hyaluronate, Hyaluronic Acid, Potassium Sorbate, Citric Acid, Lonicera Caprifolium Extract, Lonicera Japonica Extract. 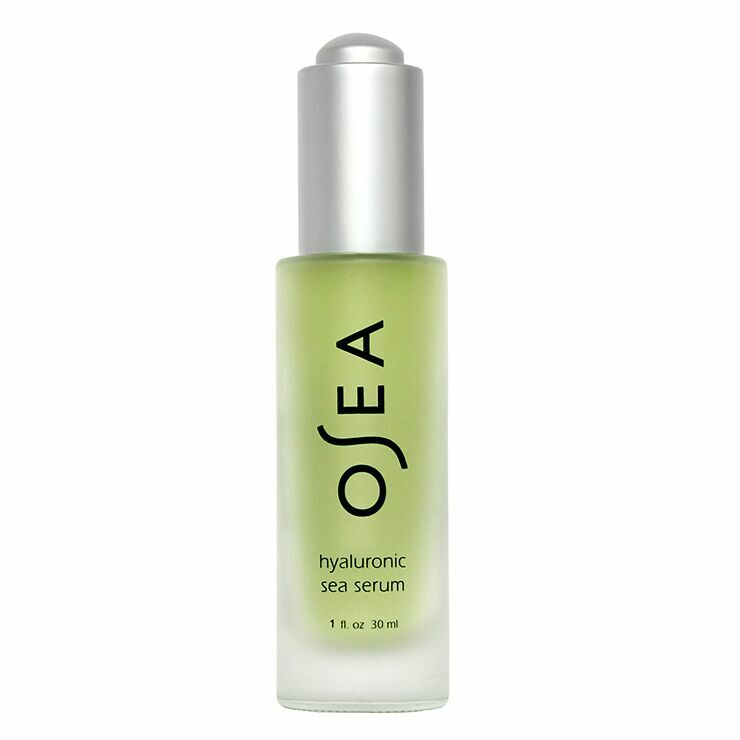 I am so glad to see Beauty Heroes is now carrying this Osea serum. I have very dry skin in the winter months that becomes extremely reactive to any product containing essential oils. This is the best product I have found for alleviating dry skin and providing a moisturizing barrier throughout the day. It has a gel-like consistency that absorbs quickly and no real scent. My skin is visibly plumper and brighter after using. The dropper mechanism takes a bit of getting used to and tends to dispense too much at a time, but I eventually got the hang of it.